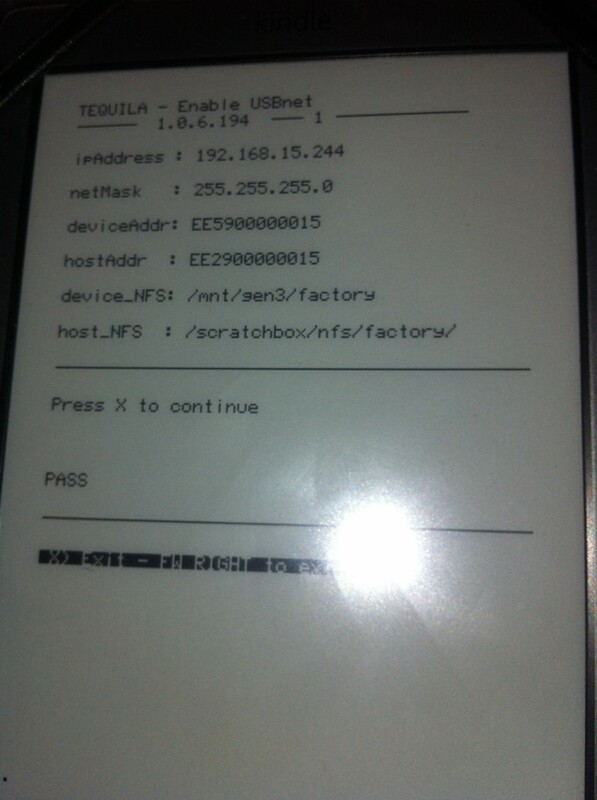 This post describes how to gain root access to the Kindle 4 NTs (Non Touch) file system. In following posts I will describe how to enable customizable screen savers and ssh access over WiFi. 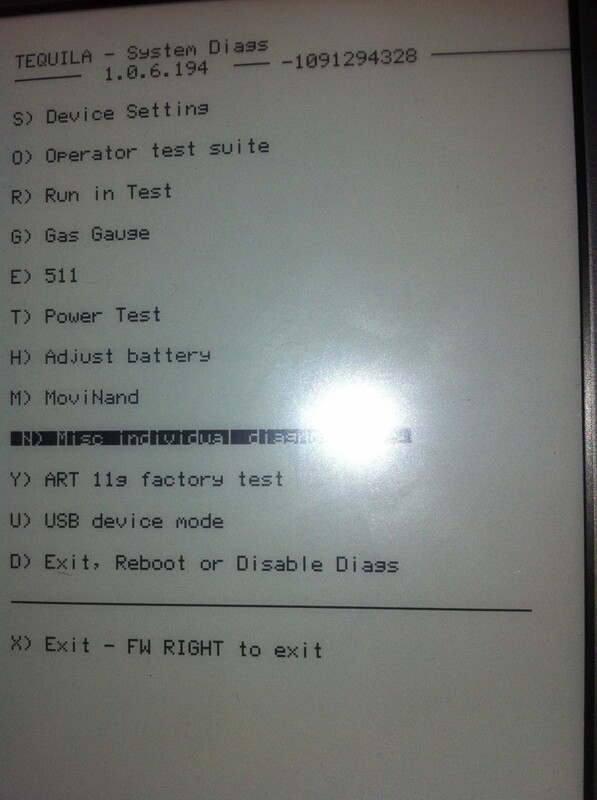 Kindle 4.0: Everything is good to go. 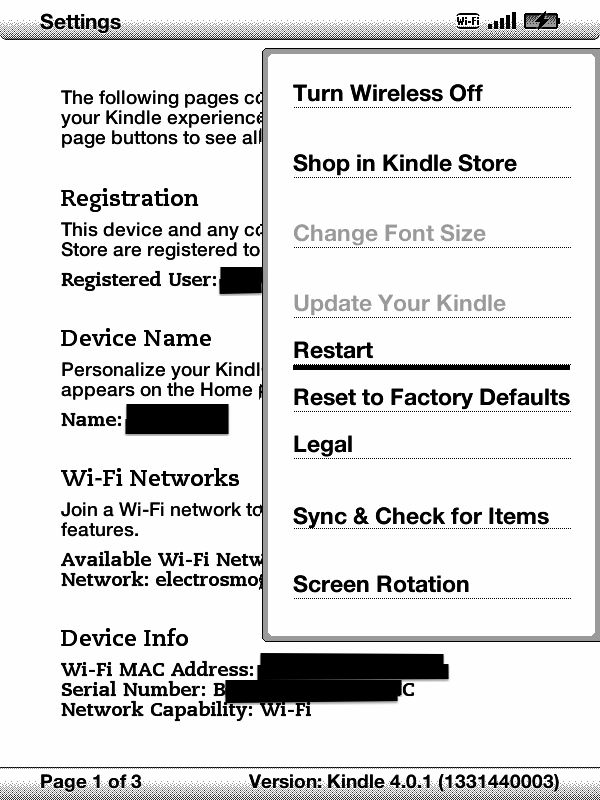 Kindle 4.0.1: Ah, we need our serial number now. It has to be this exact name! Here you should see a ‘RNDIS/Ethernet Gadget’, choose ‘manual’ IPv4 settings for this one. On Windows use Putty or a similar program and enter the corresponding ip (192.168.15.244). If you are on Kindle version 4.0 (we checked that at the beginning), then use ‘mario’ as password. 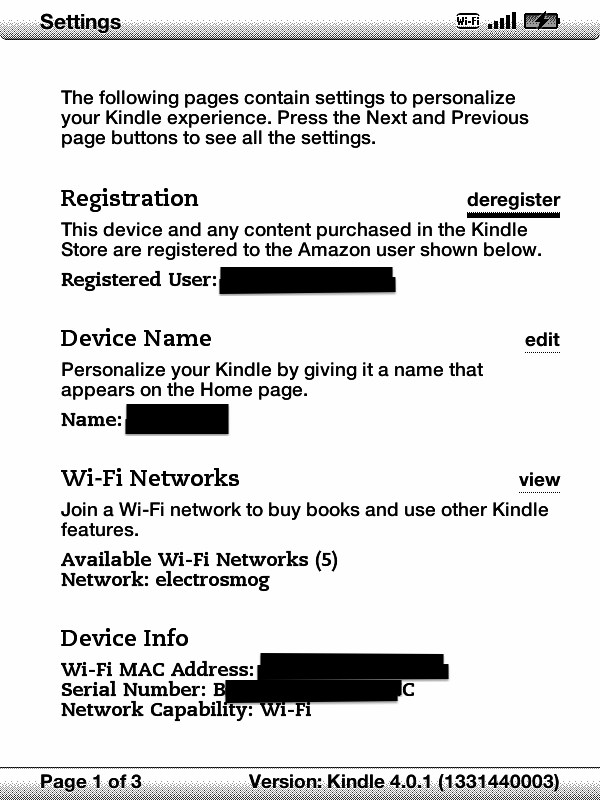 If you are on Kindle version 4.01, then you have to go to http://unimportant.tk/w and enter your serial number without spaces.